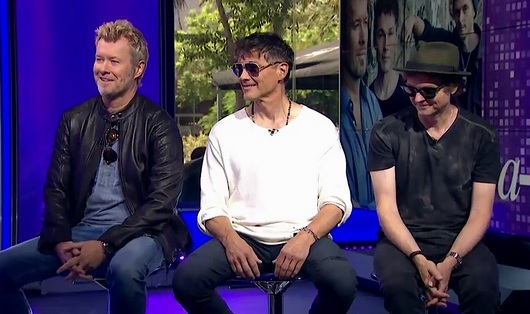 After starting their Electric Summer tour with seven dates in the UK and Ireland, a-ha are now in Tel Aviv to prepare for tomorrow’s concert at the Ra’anana Park Amphitheater – their first ever show in Israel. Yesterday they were interviewed in the studio of news website Walla. The 9-minute video interview is in English and can be seen at walla.co.il. They also did a press conference at the Sheraton Hotel, from which a short video has been posted on YouTube. 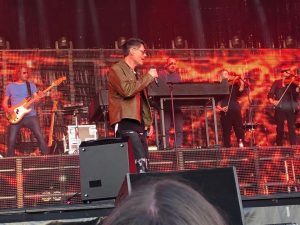 There have been some protests from the BDS Movement against a-ha playing in Israel, urging the band to cancel the concert. But for the band, this was never an option. “For us, we think the most positive thing we can do is go wherever, whenever and play to our fans. We’re not here to support or protest anything. We’re here to connect with people we’ve made music for, that has hopefully meant something to them. So for us it’s a very simple choice”, Magne told Walla News. “We disagree with [the BDS’] way of doing things. If we were to boycott for reasons here, where do we stop? There are so many countries you would boycott in the end and I personally don’t believe it is right. It was not a difficult decision to come”, Morten added. The setlists at the Electric Summer concerts so far seem to have been the same as the opening night in Canterbury – the only exception being “This is Our Home” being replaced by “Sycamore Leaves” since Cork. a-ha opened their Electric Summer Tour at The Spitfire Ground St Lawrence in Canterbury last night, the first of 31 concerts across twelve European contries this summer. 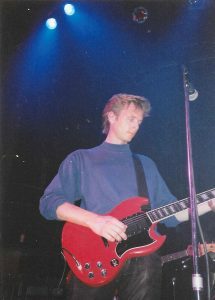 They were joined by support acts Tom Bailey and OMD. 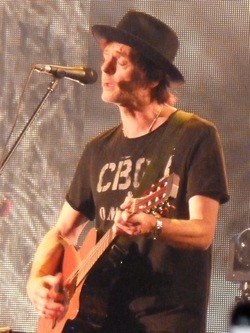 The 18-song setlist apparently included several new arrangements, of particular note “Minor Earth Major Sky” and “Train of Thought” both being played similarly to the early demo versions, and a more electric version of “This is Our Home”. Additionally, “The Blood That Moves The Body”, “Minor Earth Major Sky”, “The Weight of the Wind” and “Train of Thought” were all performed live for the first time since 2010. High-quality video clips of “The Blood That Moves The Body” and “The Weight of the Wind” have been posted on YouTube by Chris Fournier. “You have to reinvent things. It has to feel fresh, so even the ones we always play, you try to give them a different spin or really bring it back to the way it was at the core. It changes with each song. 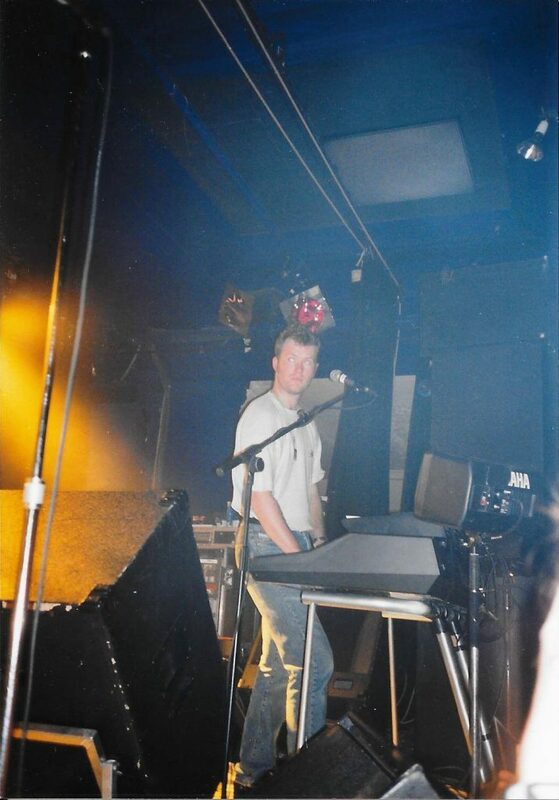 We might have had a demo of one of the hits that we are fond of so we might play something like that”, Paul told The Northern Echo in an interview earlier this week. 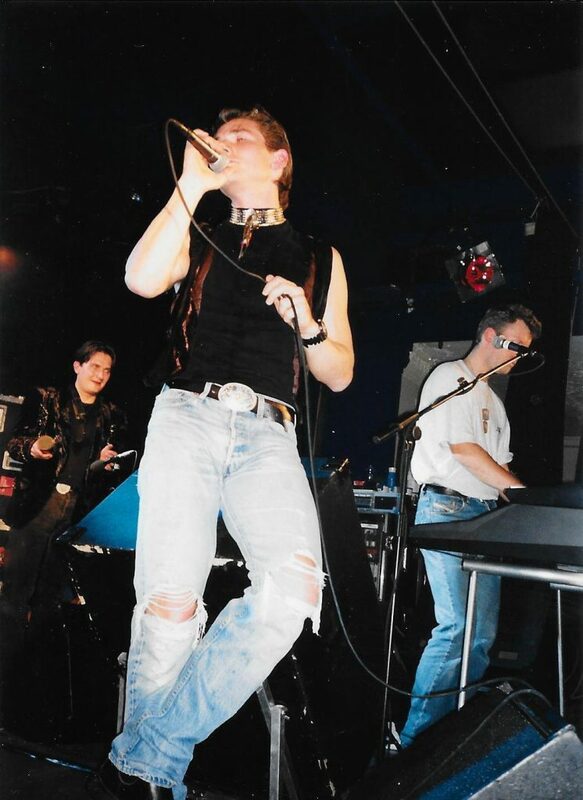 The backing band was mostly the same as on the MTV Unplugged tour, only Lars Horntveth was missing. 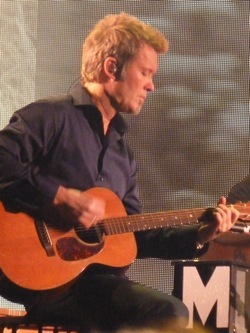 Production rehearsals took place at the LH2 Studios in London from 2 – 5 June. The tour continues at Huish Park in Yeovil on Saturday. 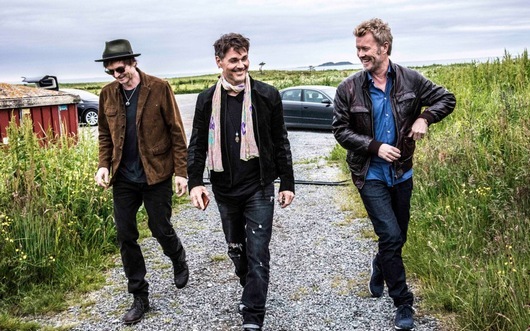 a-ha will bring their Electric Summer Tour to Copenhagen’s Tivoli Gardens amusement park on Friday, 27 July. 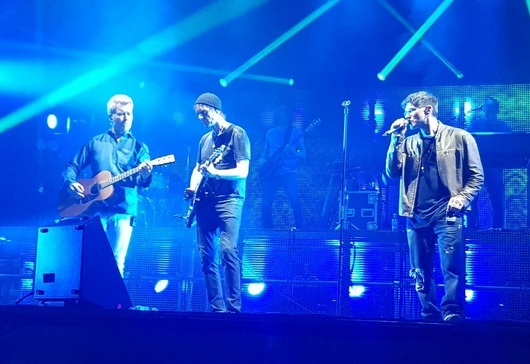 This will be the first a-ha concert in Denmark since 2004, when they played at the Rock Under Broen Festival in Middelfart. It is also the 30th concert to be announced on the Electric Summer Tour so far. Paying visitors to Tivoli Gardens will have free entrance to the concert, but Inner Circle tickets near the stage will cost extra. The Inner Circle tickets go on sale for season card holders on Thursday 25 January, and for everyone else on Friday 26 January via billettlugen.dk. For a list of all 29 dates announced so far, visit the Electric Summer Tour page. In Ireland, all 5000 tickets for the Live at the Marquee concert in Cork sold out within a few hours last week. While in Norway, all 8400 tickets for next year’s Parken Festival in Bodø recently sold out in only 17 minutes. 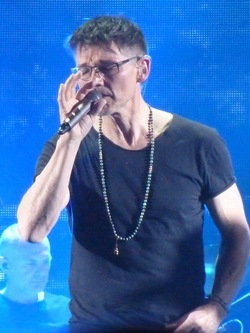 Several of the other a-ha summer concerts are also close to selling out. More info on how to get tickets is available on the official site. 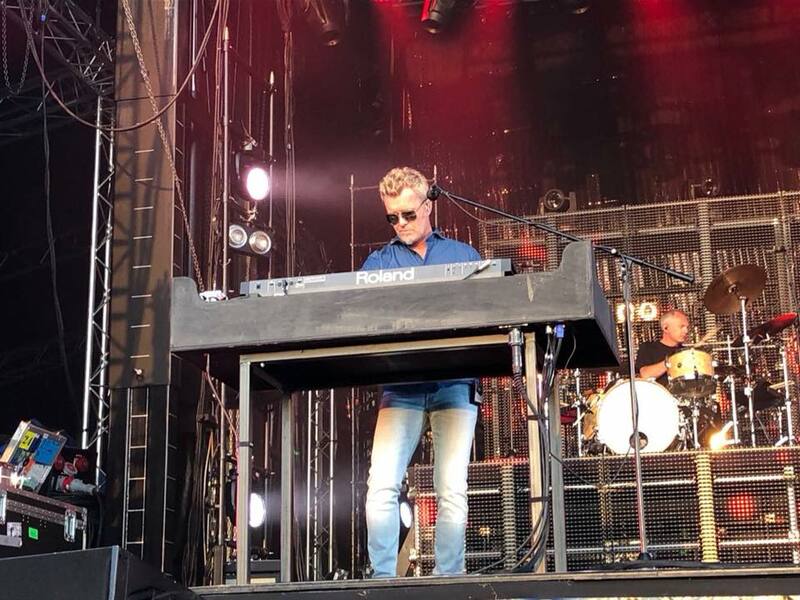 Kongsberg Jazz Festival has announced that Anneli Drecker’s Bel Canto will be supporting a-ha on July 6th, while support acts on the MTV Unplugged Tour starting next month will be Alexander Knappe in Germany, Austria and Switzerland, and Jess Morgan in Oslo and London. More info here. 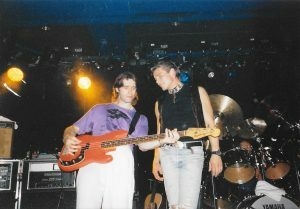 Not much is known about this concert, but it was probably a “secret” rehearsal gig before the Memorial Beach tour in Holland, Denmark and Germany, which started three days later. If anyone reading this attended the concert at Fylde College, let me know here. Thanks to Christopher Hopkins for the info. 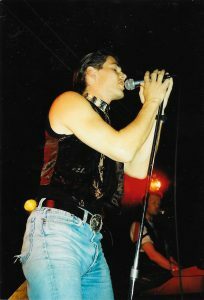 Concert photos by Still Photography. 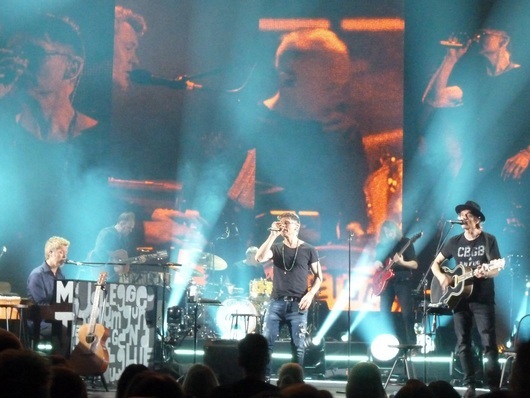 a-ha were in Hamburg yesterday, where they performed the acoustic version of “Take On Me” on the “NDR Talk Show” on NDR. Up until an hour before the show it was not clear if they would be performing, as Morten was struggling with a cold. But they did, and it sounded good. 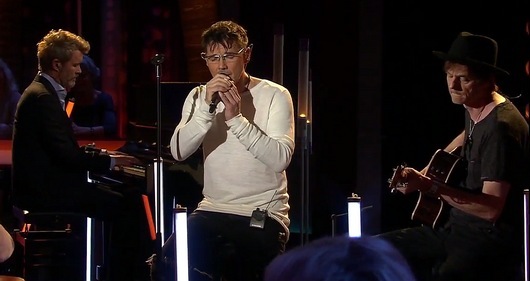 A video of the performance + interviews with Morten and Magne can be seen here. 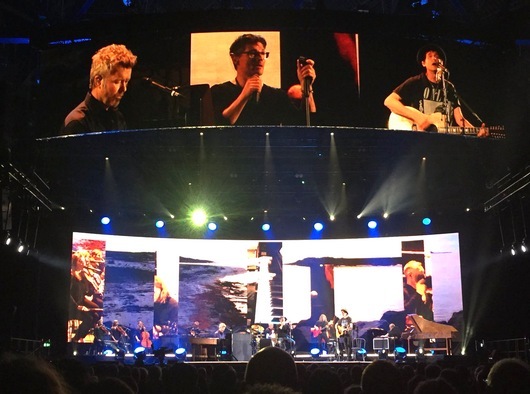 a-ha also played the acoustic version of “Take On Me” on the RTL talkshow “Die 2- Gottschalk & Jauch gegen ALLE” last Friday, 1 December, but that performance was taped in Cologne on 23 October. A video clip is available here. This brings the total number of tour dates up to 27, which means almost half of the dates have now been announced – if they’re really planning to do 60 concerts during next summer/fall.